Is jazz the musical equivalent of wine? Mature, sophisticated, etc etc? Well, no, but asking that question functions as a nice intro to what we’re going to talk about here. Danyel Couet’s Bar Étable are launching a new concept, ‘Jazz Au Vin’, in collaboration with musician Alexander Brott and his trio. 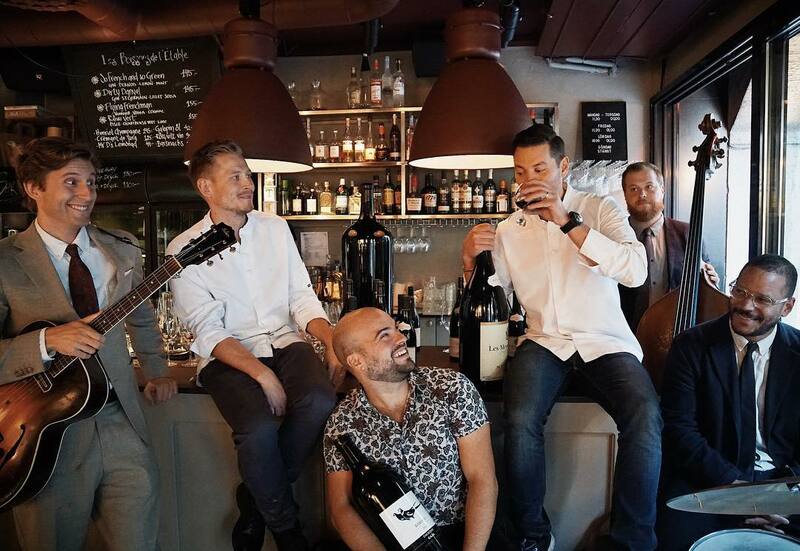 The concept is very simple – the Alexander Brott Trio (Alexander Brott – Guitar, Björn Lundén – Bass, Moussa Fadera – Drums) play live jazz between 18:00 and 21:00 every Thursday, during which time guests can sample some of Bar Étable’s best wines. It’s essentially adding a little musical flavour to a night at Étable, and entry is free.